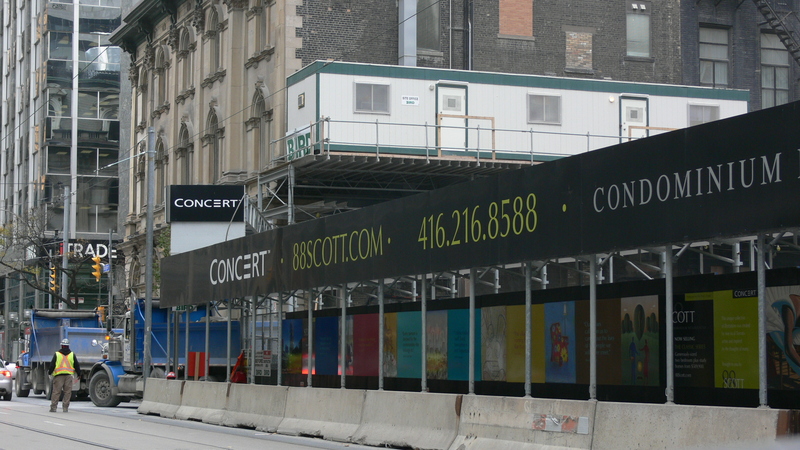 A unique project for Concert Properties and Bird Construction, 88 Scott Condo’s presented challenges for space. Limited space onsite, Bird Construction required a site office within the construction footprint, the only solution was up. 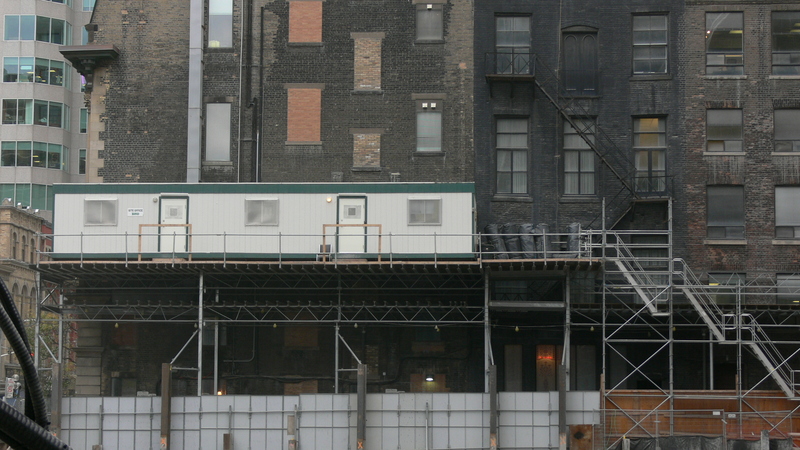 With custom engineered supports, the site office was elevated 18 feet off the alley way surface; allowing for business as usual for the adjacent building. This birds eye view of the site presented challenges: emergency exits for both the site office and adjacent existing building, ventilation obstructions to maintain and limited space to stair access to the platform. 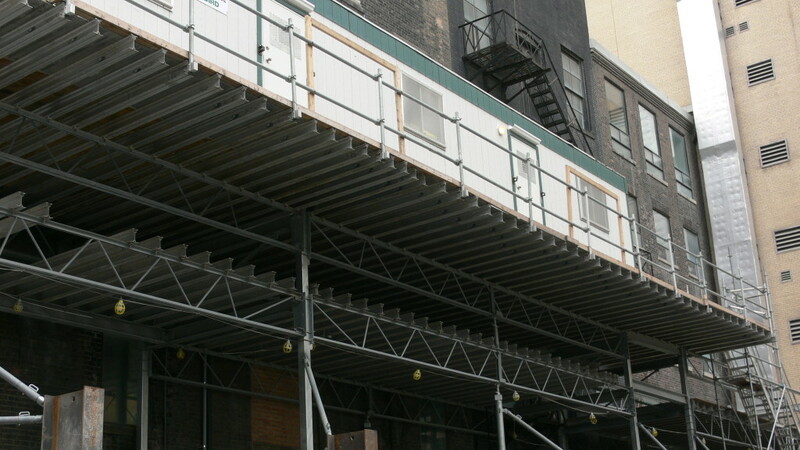 With careful planning and engineering, our installation staff where able to successfully install the structure efficiently and have the site meet its strict deadlines. Good afternoon Brent. We definitely can provide solutions. I will contact you directly. Thank you for reviewing our website.